The ancient monument at Nabta Playa, in the desolate Sahara desert of southwestern Egypt, has been called one of the earliest aligned structures of mankind's ancient past. Consensus opinion currently indicates that usage of the site may have begun around 4500 BC (based on carbon dating analysis described in this 2007 article), although some analysts have provided arguments which suggest that the site may have been designed even earlier than that. Nabta Playa is an extremely arid basin just south of the Tropic of Cancer (see map below). In 1973, a team of archaeologists led by Fred Wendorf discovered pottery fragments in the remote region and began excavation of what they learned was a site of incredible antiquity. In 1990, they discovered a stone circle monument, publishing an article about this site for the first time in 1998. Thus, the site is still somewhat recently revealed to the wider public, and discussion and analysis of its implications are ongoing. Some of the most intriguing analysis of the site has come from physicist and archaeoastronomer Dr. Thomas G. Brophy, who in 2002 published The Origin Map: Discovery of a Prehistoric, Megalithic, Astrophysical Map and Sculpture of the Universe. In the video segment above, he discusses his analysis of the site, analysis which if correct has stunning implications which completely upend the conventional timeline of mankind's ancient past. A user of the calendar circle diagram, standing at the north end of the meridian sightline window, would look down on the stone diagram and see a representation of the stars of Orion's Belt just as they appear on the meridian in the sky when the user looked up. More than just matching the appearance of the stars of Orion's Belt at that time, the ground stones indicate the sky stars at the special time of summer solstice as identified by the solstice sightline window in the calendar circle. As Dr. Brophy explains in the book, and in the video above, the motion of precession not only "delays the sky" through the ages such that a different zodiac sign is in the position above the rising sun before sunrise on the March equinox (creating the different precessional ages such as the Age of Pisces or the Age of Aquarius), but it also changes the angle that the constellations such as Orion will appear to a viewer at the same location on our planet throughout the different ages. The angle of the stones representing the belt stars appears to be correct for the period between 6400 BC and 4900 BC -- an archaeoastronomical dating of incredible antiquity. This was the period of least tilt of the constellation Orion with respect to the meridian (when the constellation is most vertical and the belt stars are the most horizontal). Dr. Brophy then goes on to an even more significant hypothesis, which is that the southern three stones represent the head and shoulders of Orion, but that they are at an angle when Orion is at his greatest tilt from the motion of precession. The implications of this proposal, however, are revolutionary. Due to the very slow motion of precession, the time period indicated by the stones representing the head and shoulders of the constellation would center around 16,500 BC! Even if these stones were not erected at such an unbelievably early date, it is not inconceivable that they were erected around the first set of dates (those indicated by the tilt of the belt-star stones), and indeed conventional archaeologists currently date the site to a time quite close to Dr. Brophy's astronomically-derived date. If so, and if Dr. Brophy is also correct about the southern set of stones indicating the head and shoulders of Orion at the period of greatest tilt of the constellation (caused by precession), then this would mean that the ancient designers of the Nabta Playa circle were aware of precession (something conventional historians believe was unknown until about 125 BC), and further that they understood precession to an astonishing level of sophistication, such that they could calculate and diagram the maximum tilt that precession would cause to the familiar stars of Orion! Either that, or the designers of Nabta Playa were in touch with someone who could (or that the information was handed down from someone who knew these things, pushing the antiquity of this sophisticated understanding even further back in time). This proposition clearly has enormous implications. The evidence that the ancients understood precession to a degree far more precise than that achieved by Hipparchus or Ptolemy (the first astronomers that conventional scholars say were able to detect and understand the phenomenon) is quite extensive, and fills a good portion of the discussion in Hamlet's Mill, by Giorgio de Santillana and Hertha von Dechend (as John Anthony West points out in the video above). The entire Maya Long Count / 2012 phenomenon is based upon clear evidence that the Maya had sophisticated understanding of the effects of precession and could predict with a high degree of accuracy its effect upon the angle and rising times of celestial bodies -- in their case, a special part of the Milky Way galaxy, as discussed in several previous posts, such as this one. The extreme antiquity of the dating of the Nabta Playa site, however, pulls back the curtain on a whole new corridor of time stretching into a distant past during which mankind apparently knew far more than modern academics will acknowledge. However, this revelation is only the beginning of the incredible aspects of the Nabta Playa site which physicist Dr. Brophy finds evidence for. The circle discussed above is actually part of a three-dimensional structure that continues below the level of the surface of the earth, and includes bedrock many feet below which has apparently been worked by tools into some sort of art form -- but where conventional archaeologists see a "cow" that might have been a stand-in to represent the sacrifice of an actual cow, Dr. Brophy sees a representation of the Galactic Center encoding more precise knowledge that ancient people simply should not have possessed, according to the conventional timeline of history. Dr. Joseph Farrell explores these aspects of Dr. Brophy's analysis of Nabta Playa in his book Grid of the Gods, a text discussed in this previous post. 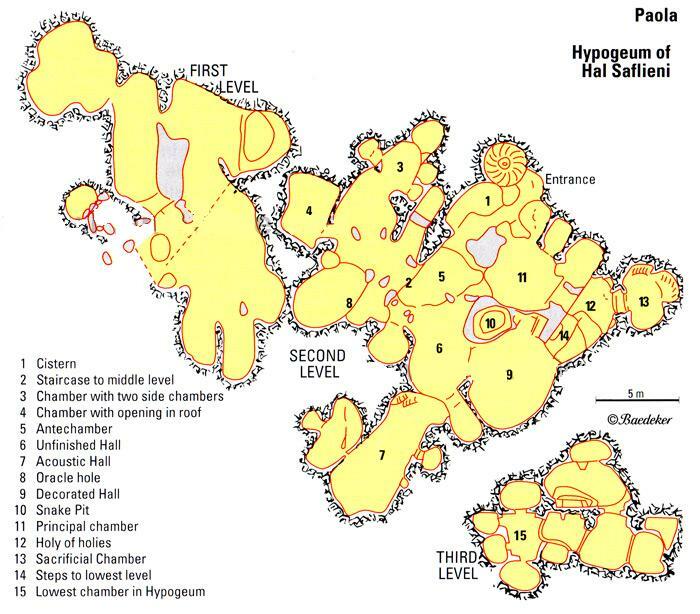 Further, the Calendar Circle site is also located within a larger context of other stone monuments in the Nabta Playa basin, and Dr. Brophy believes that the distance and direction relationships among these sites also encodes extremely precise astronomical information (see the continuation of the above-linked video here). The megaliths are arranged at various distances from a central point, known as "Complex Structure A." As you can read in detail below, Brophy interprets these distances from the central point as recording a) the actual distances of the stars in question from our solar system, and b) the speeds that the stars are moving away from us. The information and interpretations that Brophy extracts from the Nabta megaliths correspond to a high degree with modern knowledge of these parameters for these specific stars. Further, analyzing smaller companion stones associated with the primary "star" megaliths, Brophy suggests that the builders of the Nabta site may have had information about planetary systems or companion stars associated with the six stars in question -- information that we do not have today! And then there is the "Cosmological cow stone." Does this stone encode information about the origin of the universe, the age of the solar system or universe, the structure of the galaxy and universe, and / or the fundamental constants of nature? Read Brophy's analysis and see what you think. These possibilities are even more staggering, clearly, than the possibility that the designers of Nabta Playa knew about precession to a degree far beyond that attained by Hipparchus or Ptolemy thousands of years later. We are accustomed to thinking of Planck's constant, for example, as a discovery of quantum physicists working in AD 1900 and after -- not 1900 BC and certainly not 4900 BC! And yet this constant is one of those "fundamental constants of nature" that Dr. Schoch refers to above that Dr. Brophy sees in evidence among the dimensions of the monuments in Nabta Playa in Egypt. Whether or not you agree with his conclusions, it would be prudent to examine Dr. Brophy's discussion and analysis of the evidence and to keep an open mind while doing so. Moving back a bit from possibilities such as awareness of quantum physics, it is fairly clear that the designers of the Nabta Playa circle created a summer solstice alignment, as well as a meridian alignment which may well line up with the belt stars of Orion (which Dr. Brophy's analysis shows were along that meridian around the summer solstice during that epoch). Setting aside even the evidence that these ancients might have understood precession, one huge question still remains for proponents of the conventional theories, and that is: how are archaeologists and archaeoastronomers even able to make calculations about the location of Orion in reference to this site, if the site is over 6000 years old and if continental drift has been going on for all these years the way proponents of plate tectonics believe? At the very least, Nabta Playa should blow the theory of plate tectonics wide open. Unless, of course, we want to argue that Nabta Playa is a big hoax, and that the stones were actually set out there in the 1970s by clever archaeologists and physicists who threw in references to the Planck constant and precession just to fool people (but who forgot about the motion of plate tectonics, or didn't take it into account, since plate tectonics was still something of a novel theory even in the 1970s). There are many other sites whose ongoing alignments also argue strongly against plate tectonics, among them the Great Pyramid of Giza, the Sphinx, and the ancient megalithic temples on the islands of Malta. No one can argue that those sites were secretly constructed in the 1970s. However, the extreme antiquity of Nabta Playa (if it is an authentic ancient site, that is) should set a new record in sites unaffected by tectonic motion. (Of course, it is quite possible that the Sphinx and the Great Pyramid are much older than conventional academics think that they are -- perhaps even older than Nabta Playa). Add to that the possibility that Nabta Playa encodes the knowledge that Dr. Brophy demonstrates that it does, and the site completely demolishes most of the foundations of the history departments and the geology departments of most modern universities. None of this should be surprising to readers of this blog or those who are familiar with the hydroplate theory of Dr. Walt Brown. Above is an eye-opening presentation by Professor Gordon Freeman of Saskatchewan, an Oxford- and University of Saskatchewan- and McGill-trained scholar and Professor Emeritus at the University of Alberta. Professor Freeman's deep background in chemistry enables him to perceive patterns that others don't notice, which is very interesting in light of the fact that Dr. Reinoud de Jonge (one of the authors of the previously mentioned examination of stone sites in the "New World" and the Old entitled How the SunGod reached America c. 2500 BC) is a Dutch physical chemist and teaches chemistry and physics. In the video below beginning at about the 1:30 mark Professor Freeman explains how his childhood and the enthusiasm of his father influenced his interest in the stone relics he found in Canada, and how his professional training in chemistry helped him to see "patterns of stones all over the place" (4:08). My life career -- what they paid me to do for thirty-seven years -- was complex systems in chemistry and physics, and pattern recognition is the strongest analytical tool, and so I'm automatically hooked into recognizing patterns when I see them, and patterns in biology, and patterns in geology, and patterns in lightning strokes: if you see similar patterns you can take them back nearly always to similar mechanisms. They don't involve the same entities, but the general mechanisms are the same. In the slide show at the top, he explains some of his remarkable pattern-recognition, and what it led him to discover about a remote sacred circle near an old abandoned city known as Majorville in Alberta (and hence sometimes called the Majorville Sacred Circle, and other times the Sun Temple in Alberta). His slideshow illustrates the evidence he has found pointing to the conclusion that this Sun Temple is at least 5000 years old. The beautiful photographs clearly show that this Sacred Circle incorporates "V-shaped notches" on the horizon. Readers of this blog may remember a post from earlier this year entitled "Aligned stones, V-shaped notches, and massive but subtle sculptures found in India, New Zealand, and Peru" which presented clear evidence of remarkably similar stone monumental technique in locations as widely dispersed as India, New Zealand, and Peru. According to the evidence presented by Professor Freeman, we should add Canada to this list. Further, Professor Freeman in his book Canada's Stonehenge: Astounding Archaeological Discoveries in Canada, England and Wales explores undeniable similarities of patterns between the Sun Temple in Alberta and ancient stone circles in the British Isles*. Such connections are extremely damaging to the conventional isolationist paradigm which currently grips academia but should not come as too great a shock to those familiar with the incredible mass of evidence which refutes that outmoded view. The entire world should be grateful to Professor Freeman and his wife Phyl for their diligent work in perceiving and communicating this extremely important find, which has such powerful implications for human history. Their work is truly advancing the cause of the truth. His book deserves wide examination and careful consideration. * An extended second edition of Professor Freeman's book has recently been published under the title Hidden Stonehenge. I recently received a book as a birthday gift, and what a wonderful book it is! Entitled How the SunGod reached America c. 2500 BC, it presents detailed evidence compiled by authors Dr. Reinoud M. de Jonge and Jay Stuart Wakefield that numerous ancient megalithic sites around the world encode detailed sailing charts for crossing the world's oceans and finding specific landmarks and navigation aids at specific and accurate latitudes. The book is illustrated with numerous diagrams, drawings and maps, as well as selections of ancient Egyptian papyri and panels showing that the ancient Egyptians were active participants in voyages to the "Western Lands." The authors argue that the most ancient sites including Newgrange and other megalithic mounds contain clear coded references to discoveries of islands to the west, the Azores being among the most important of these, and that the lands to the west held great religious significance in the worship of the SunGod to these ancient peoples. Significantly, they find that the nine major islands of the Azores, in three major groups, are depicted in ancient sites dating to 3500 or 3600 BC, such as Gavrinis, including coded references to the latitudes of the Azores (they describe references to 38 North, the latitude of the Central Azores and the number most associated with the Azores, as well as references to numerous other important nautical reference points, including Dunmore Head in Ireland at 52 North and the Cape Verde Islands at 16 North). Below is an image of two of the engraved stones from Gavrinis, showing the labels that de Jonge and Wakefield give to the inscriptions. One of the most interesting sections of the book concerns the site at Mystery Hill, New Hampshire (also known as "America's Stonehenge"), which I have visited and written about in previous posts such as this one and this one. The authors present convincing arguments that Mystery Hill functioned as a "religio/travel center for crossing the ocean to Europe in the bronze Age," saying: "We think this was a teaching center about oceanic geography and sailing routes, a place to get accurate predictions for the safe timing of oceanic voyages, and a place to make the sacrifices that would ensure safe passages" (10-1). Above (top of this post) is a diagram from Mystery Hill showing the many extended stone walls, which seem to wind about with no purpose (certainly their layout defies the theory that these stone walls were produced by early colonial settlers clearing the land). Authors de Jonge and Wakefield provide convincing arguments that these walls depict the coastlines of the world's oceans, most detailed in the region of the North Atlantic [most of the stone structures in the "Main Site" area, not shown in this larger view], but also depicting the Equator as well as a route for a "southern passage" across the Atlantic in the region of the Equator, as well as coastal features in the Caribbean, Central America, and even the eastern edge of Asia and a route marker aimed towards Australia. Among the evidence that the authors present are indications that the site encodes the latitude of Cape Sao Roque, the northeast point of Brazil, at latitude 5 South, the latitude of the north coast of Honduras at 16 North, and even the latitude of Cape Race in Newfoundland, at 47 North! The authors present similar evidence that Stonehenge encodes latitudes and landmarks for oceanic crossings as well. This is astonishing, but it is in line with the arguments that Martin Doutré has outlined in support of the conclusion that nearby Avebury Henge also functioned as a large "open-air university" for the training of mathemetician-seafarers to cross the bluewater oceans. The extensive mathematical patterns that de Jonge and Wakefield find at sites around the world which indicate knowledge of accurate latitudes as early as 3000 BC and even earlier, however, is perhaps the most astonishing aspect of their argument. It is difficult to deny that people who could determine accurate latitudes understood that the earth is a sphere, and what is more, that they understood its size to a high degree of precision. If ancient mankind knew the size and shape of our spherical earth to such a degree of sophistication prior to the construction of Stonehenge, then this knowledge completely stands our conventional view of human history on its head. There is extensive other evidence from around the world, however, that ancient civilizations did have this knowledge (see this previous post, for example). How did they know so much, so many thousands of years ago? Conventional textbooks will of course continue to depict the builders of Stonehenge as primitive and superstitious innocents wearing rough skins, and to argue that at the early dates of the many megalithic sites described above, mankind was just beginning to emerge from a hunter-gatherer mode (which had prevailed for hundreds of thousands of years, during which discovery of the size and shape of the spherical earth would have been difficult to imagine). Dr. de Jonge and Mr. Wakefield have shown that this conventional view cannot be correct. How the SunGod reached America c. 2500 BC thus becomes an incredibly important piece of analysis, contributing critical evidence that should be examined carefully by everyone interested in uncovering a truer picture of the most ancient past of mankind.